Whip up these scrumptious dinner recipe ideas, which will have you and your family coming back for seconds. If you are an on-the-go single, busy executive, single dad or a stay at home mom, we’ve got meal options that can fit right into your schedule. Let the cooking begin! 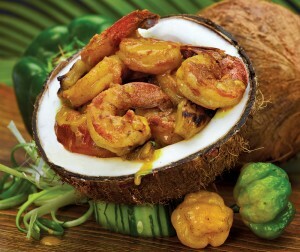 A tantalising island-style curry shrimp recipe to awaken your taste buds to the sensation of paradise. Combine curry seasoning and shrimp. Allow to marinate for 20 minutes. Heat oil in frying pan. Add garlic and sauté for 1 minute. Dissolve coconut powder in 1/4 cup pineapple juice. Add to pan along with onions. Heat for 1 minute. Fold in shrimp and simmer for an additional 2 minutes. Add pineapple slices, tomatoes and sweet pepper, heat thoroughly and serve with your choice of LASCO Pasta. An old time Jamaican favourite made easy with the LASCO Jack Mackerel in Brine. 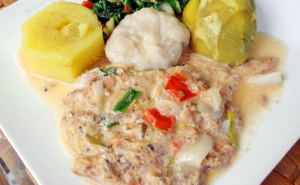 Also known in some parts of the island as "Dip and Fall Back", it's a beloved dish of mackerel deeply seasoned with island favourites such as scotch bonnet pepper, escallion and thyme, in a thick coconut sauce. Combine coconut milk and water, add all seasoning and bring to a boil. Allow to simmer for about 15 minutes or until a gravy is formed. Add flaked mackerel and salt to taste. 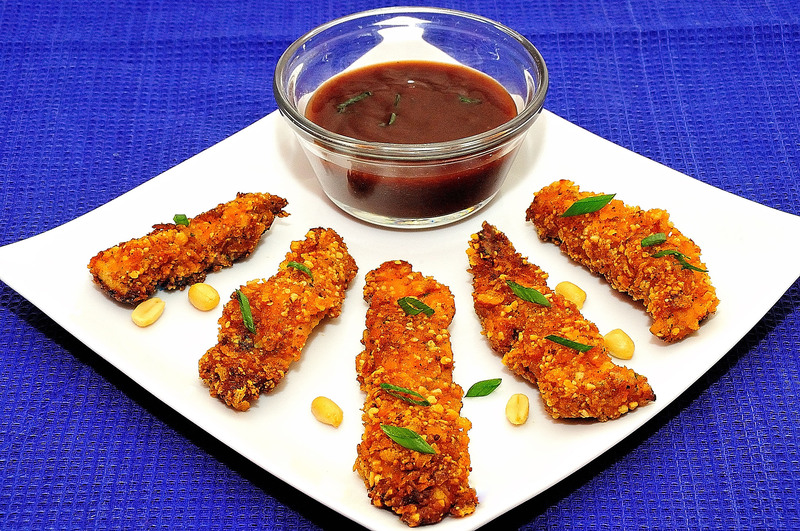 An exotic dish of marinated chicken breasts in cranberry apple sauce, sprinkled with cashews and raisins. Recommended to be enjoyed with a side of pasta. 1 tsp LASCO Crushed Pepper. Combine chicken, curry sauce and crushed pepper. Marinate for 20 minutes. Heat pan with oil. . Add chicken and sauté for 2-3 minutes. Mean while, combine Tomato ketchup, cranberry and cornstarch. Pour over chicken. 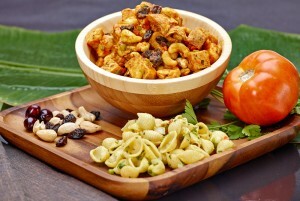 Sprinkle on cashews, raisins, nuts, sweet pepper, tomato and onions. Heat through for 1 minute. Otherwise known in parts of the world as pigeon peas and rice OR beans and rice, it's often served in the Jamaican home as a side during Sunday dinner. Jamaicans love the distinct taste of the coconut milk, seasoned with Caribbean favourites such as thyme, onion, escallion. Empty LASCO Coconut Milk in a large sauce pan or pot. Add 4 cups water, salt, scallion, thyme, garlic, pimento berries, LASCO Jerk Seasoning and nutmeg. Drain LASCO Gungo Peas and add to the pot. 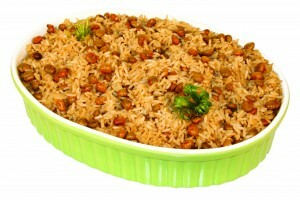 Add rice, stir well, reduce flame and allow to cook until rice grains are tender and liquid has been absorbed. Who says eating healthy is boring? 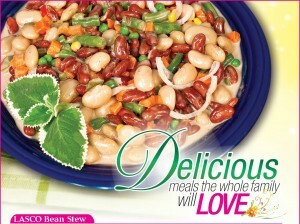 You will love the unbelievably alluring taste of LASCO Mixed Vegetables, Broad and Red Kidney Beans, simmered in a well-seasoned coconut mixture. 1 packet LASCO Coconut Powder into a pot of 1/4 cup water and combine. Empty LASCO Coconut Powder into a pot of 1/4 cup water and combine. Empty both canned beans into the coconut mixture. Stir in LASCO Tomato Ketchup. Cook on a low flame for a further 10 minutes or until mixture thickens. Reduce flame, drain mixed vegetables and stir. Serve with fluffy rice or LASCO Real Jamaican Water Crackers. 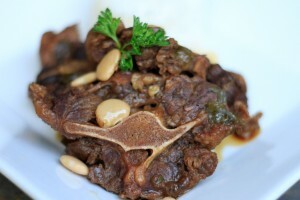 Wash oxtail and trim excess fat. Season with salt, garlic, pepper, onions, scallion and thyme. Remove the seasoning and brown oxtail in heated LASCO Vegetable Oil. Slowly add three cups of boiling water and bring to a boil, adding small amounts of water until oxtail is cooked. Add LASCO Broad Beans and LASCO peeled tomatoes to pot. 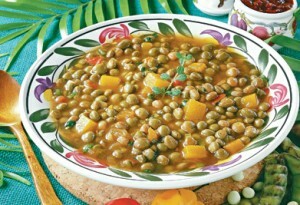 Try our mouthwatering West Indian style Green Gungo stew, which pairs well with hot fluffy rice. Empty coconut milk in heavy pot over a medium flame. Add all seasonings and simmer for 15- 20 minutes. Add Gun go peas and simmer for a further 5 minutes. Add carrot and heat thoroughly for a further 2-3 minutes. ** As a substitute for LASCO Coconut Milk, add ½ cup water to a packet of LASCO Coconut Cream Powder. Wipe fillet with vinegar. Sprinkle with salt and pepper. Dust with flour. Blanch carrot. Combine with all seasoning, vegetables and corn. Heat 1tbsp oil. Sauté mixtures for 30 seconds then remove from heat. Heat the remaining oil then fry fillet. Drain. 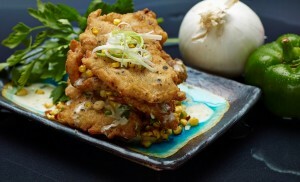 Place fish on a platter, spoon on white sauce then generous helpings of vegetable mixture. 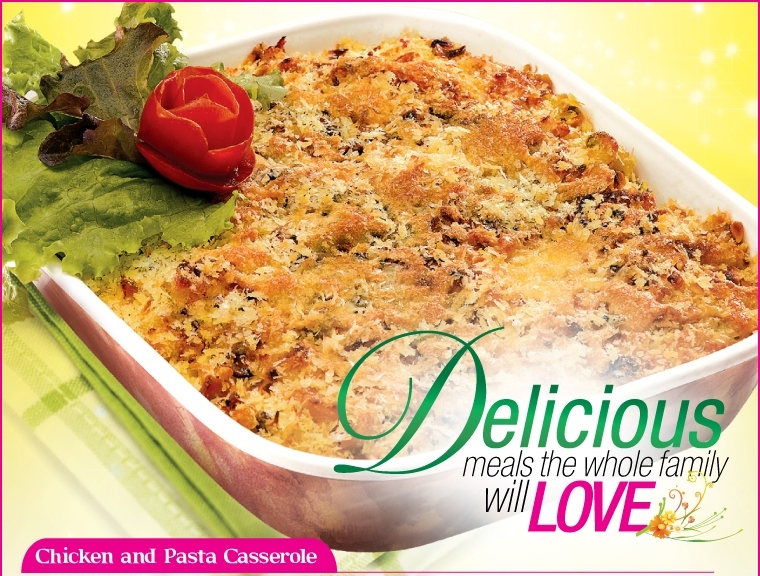 Enjoy with your favourite LASCO pasta. Melt margarine. Add flour, stirring constantly to remove lumps. Pour in milk and continue to stir until smooth and cooked. Add seasonings and use as directed. In a large pot of water boil pasta until tender taking care not to overcook. Drain pasta in a colander and rinse with cold water. Add oil to the cooked pasta to avoid sticking. In a large pan, sautee onions scallions, sweet pepper, broad beans and mackerel adding a pinch of salt. In a separate saucepan, melt margarine and sauté garlic. Add flour. Over medium flame, use a wooden spoon to combine until brown in colour. Add 2 cups of the coconut milk and simmer on low heat, mixing occasionally until thickened (approximately 6 minutes). Grease a large ovenproof container. 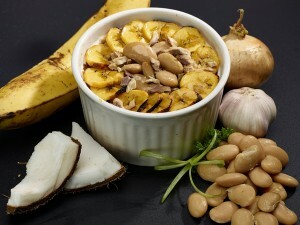 Mix together pasta and beans, add cooked plantains and mackerel and mix to distribute ingredients evenly. Pour in coconut milk mixture. 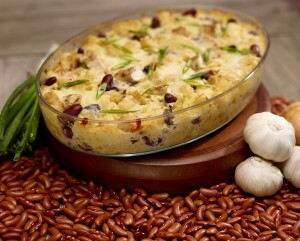 A healthy and deliciously creamy chicken and bean casserole dinner, with lightly distributed melted cheese. Season the chicken.In a large pot of water, boil Pasta until tender. Do not to overcook. In a large pan sauté the onions, garlic and escallion. Drain and thoroughly rinse red peas then add to the pan. Season the peas and vegetable mixture with salt. Cool. In a separate mixing bowl, whisk together egg and milk. Add cheese and a pinch of salt. Grease a large oven proof container. Mix together pasta, chicken and bean mixture and pour into container. Pre heat oven to 350º degrees. Mix together milk, cheese, eggs and dry oregano, ensuring eggs are incorporated fully into mixture. Set aside. Open cans of mackerel and separate from tomato sauce. Mix tomato paste with mackerel sauce then add a little water to thin out slightly. Heat oil or margarine in a large saucepan. Sautee onion and garlic then add roasted tomatoes and scotch bonnet, continue sautéing. Pour in tomato paste mixture and season with salt, pepper and garlic powder. Let ingredients simmer for 15 – 20 minutes over low heat. Sauce should be thick and spicy and well combined. 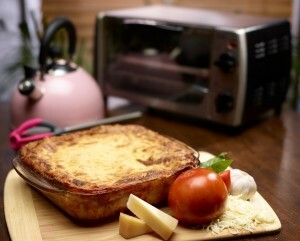 In a medium sized greased pan lay lasagne down flat side by side. Break mackerel into chunks then lay half of it over lasagna. Spoon a generous amount of the sauce mixture over the mackerel (not too much to avoid making the lasagna runny). Pour in half of the cheese mixture. Repeat the layering process until all ingredients are used up. Place in oven for 45 minutes to an hour or until top appears brown and bubbly. A nutritionally balanced dish signatured with the great tasting LASCO Mixed Vegetables and Jack Mackerel, mixed with curry flavoured rice. Empty rice in a pot. Add water, curry powder, salt and escallion. Bring to a boil. Reduce flame and allow to steam until grains are tender. Sauté LASCO Margarine with all the remaining seasonings, then add flaked fish. Empty into the cooked rice and stir gently. Gently fold in LASCO Mixed Vegetables. Tender chicken breast simmered in a creamy orange pineapple sauce, made with LASCO Pineapple Orange Food Drink. The chicken, pasta and pineapple slices concoction, teased lightly with the ginger and orange zest is divine. Prepare one 1 ½ cups of LASCO Pineapple Orange Food Drink using 1 cup of pineapple juice (water from pineapple slices). Cut chicken breast into ½ inch strips and season with LASCO Chicken Seasoning. In a pan, Sauté half the portion of onion, sweet pepper and escallion. Add grated ginger, orange zest and scotch bonnet pepper. Add chicken breast and LASCO Food Drink mixture and simmer. Add 1 tsp flour/cornstarch to thicken the sauce. Add the remaining seasonings and pineapple chunks. Once the sauce is simmered to a creamy consistency add pasta and blanched carrots. Combine ingredients together. Serve in a pasta bowl. Finish with a dash of orange zest (orange rind grated over the pasta). Boneless,skinless, crispy chicken goodness flavoured with the LASCO Peanut Punch Food Drink. Experience the crunchy delight of the chicken breasts coated with the ever crisp LASCO Cornflakes. Cut chicken breast into 1” strips and season with all purpose seasoning and black pepper. In a food processor crush the peanuts, corn flakes, and Italian seasonings. Beat eggs in a bowl. Batter the chicken, by coating each strip first into the food drink powder, then submerge into the beaten eggs. Coat generously with the peanut and cornflakes mixture. Heat oil in heavy pan.fry chicken strips until golden brown. Drain on paper towel and serve with a suitable dip. Combine all ingredients. Use as desired. 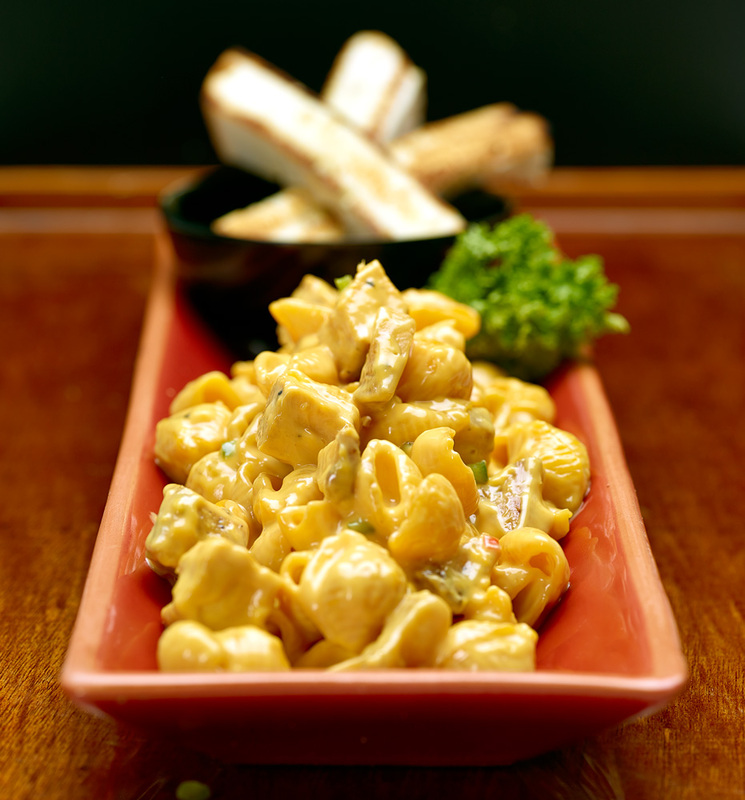 A tasty and filling family dish, our chicken and pasta casserole is a layered balance of seasoned crunchiness and cheesy goodness. Boil pasta Al Dente (cooked to a tender but firm consistency). Sprinkle LASCO Chicken Seasoning and LASCO All Purpose Seasoning on to chicken. 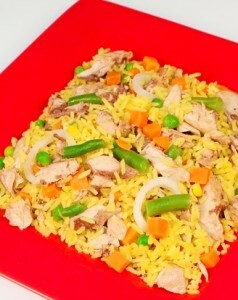 Heat LASCO Vegetable Oil in frying pan and cook breast until tender. Prepare cheese sauce by adding flour to a heated sauce pan. Add 2 tbsps LASCO Soft Margarine and stir together. Add the mixed LASCO Whole Milk and mustard and continue stirring, then add cheese, chicken and LASCO Elbow Pasta to sauce. Remove from heat and stir in LASCO Whole Kernel Corn and LASCO Green Peas. Pour in greased ovenproof dish and sprinkle with cheese then LASCO Real Jamaican Water Cracker crumbs. Place small “dots” of butter on top of the cracker crumbs. Bake at 350° F for 20 minutes. Very little is as heavenly as a intricately marinated snapper in jerk coconut sauce. 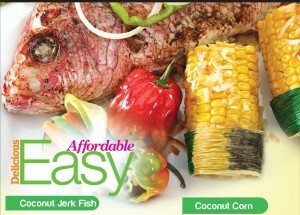 The LASCO Jerk seasoning paired with the LASCO Coconut Milk is a dream combination which makes this dish a must try. Boil cho cho in saucepan until tender. Clean and gut the fish then marinate with jerk seasonoing and set aside. Crush the boiled cho cho and the LASCO Red Kidney Beans together with a fork or potato masher. Add LASCO Soft Margarine and LASCO Coconut Milk to the mixture. Add only enough to cream the mixture. Add only remaining ingredients and mix together. Place the creamed mixture in a piping bag, pipe filling into the "cavity" of the fish. Place the fish on a sheet of foil. Add about 1 tbsp of LASCO Soft Margarine over the fish. Wrap the fish with the foil twisting the ends to secure it. Roast on an open grill or wood fire for 20 - 30 minutes. Remove from foil and serve with "coconut corn". Boil corn until tender, then drain. Spread coconut on baking tray. Bake at 350 degrees Fahrenheit for about 5 minutes or until lightly toasted. Combine LASCO Soft Margarine and LASCO Jerk Seasoning, then rub thoroughly over corn. Roll corn in toasted grated coconut then wrap "coated" corn in foil. Roast on an open grill or wood fire for about 5 minutes.